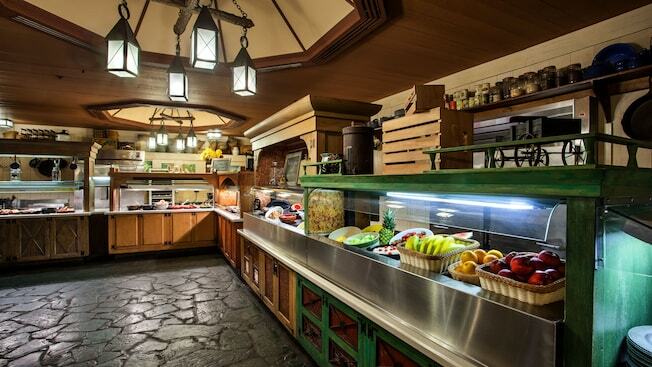 Disney Dining Resources Tips to avoid paying for a Disney Dining Plan you may not night need. How to save money and maximize dining credits plus whether the Dining Plan is right for you. Need helping finding that sold out reservation? MouseDining.com removes the frustration of booking Disney dining reservations, by alerting you when they spot availability for your desired restaurant, date, meal, and time. TouringPlans.com offers a similar service for finding Disney Dining reservations. Disney's version of fast-food. Order at the counter, pick up your tray, and find a table. Simple and quick. Advance dining reservations are not accepted. Sit-down, family friendly restaurants. You'll find the most popular restaurants located inside the Walt Disney World Resort hotels but you'll find a few exceptions at Epcot. Reservations are highly recommended and can be made up to 180 days in advance. For menus and reviews check out TouringPlans.com. Enjoy a face-to-face meet and greet with a famous Disney character or princess. As characters visit each table, they give warm hugs, sign autographs, and pose for photos. Some of the most popular are Cinderella's Royal Table inside Cinderella's Castle, Chef Mickey's at Disney's Contemporary Resort, and The Crystal Palace inside Magic Kingdom Park. The experience focuses on the character interaction rather than the food, which is usually a buffet. Character dining at Disney World is expensive so we do recommend the Disney Dining Plan to help save money on the cost. The AAA Diamond Award Winner, Victoria and Albert's at Disney's Grand Floridian Resort is Disney World's flagship restaurant and is highly recommended. Also, Jiko, Yachtsman Steakhouse, Artist Point, Citricos, and others, are proof that Walt Disney World is a full-service resort and can compete with other dining destinations such as Las Vegas, New York, and San Francisco. If you plan to frequent Signature restaurants, you might consider the Deluxe Dining Plan to save money.